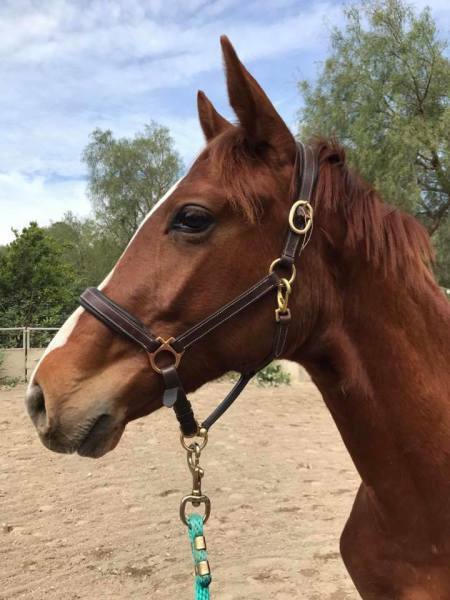 ​Bred by Kendra Hansis/Runningwater Warmbloods. Owned by Lehua Custer. 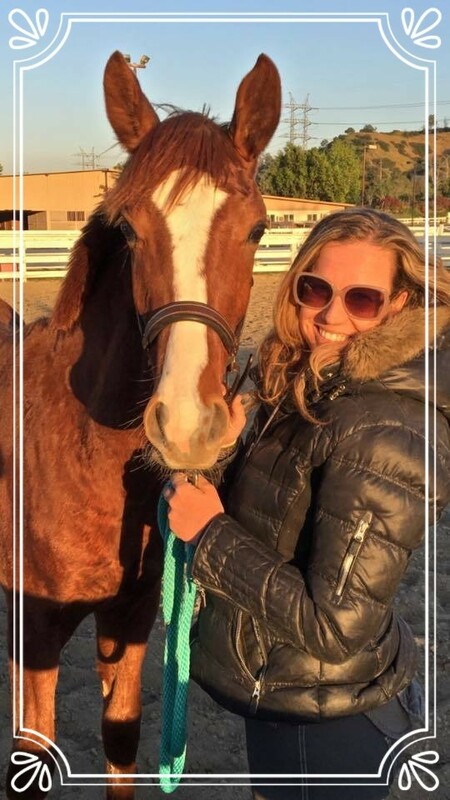 Lehua spent nearly ten years working as Hilda Gurney's assistant before she started her own Lehua Custer Dressage, based at the LA Equestrian Center. 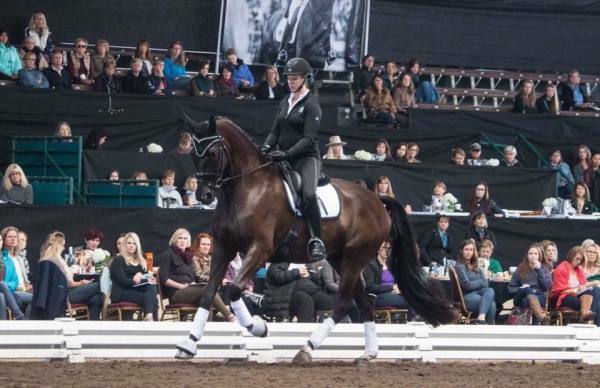 Now she trains with Debbie McDonald in hopes of competing internationally. Lehua, who had been searching for a prospect for almost a year, followed Raleska's pregnancy on Facebook and inquired about him moments after his birth. I'm very proud to say the plan is for Tuna to not only become Lehua's next Grand Prix mount, but that he'll remain a stallion. "Tuna is a fantastic prospect," says Lehua, "and I am so impressed with his temperament. 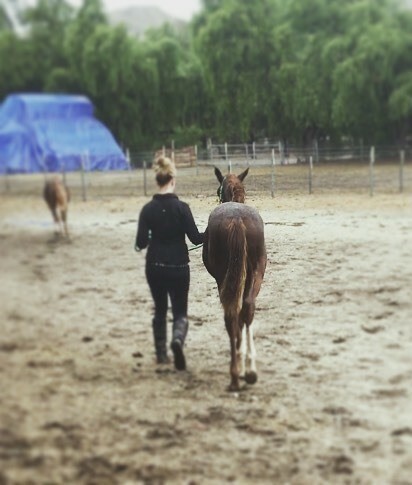 He was very well handled through Kendra's program and is now thriving at Keenridge. Hilda is quite pleased with his attitude and movement and sees real stallion potential." 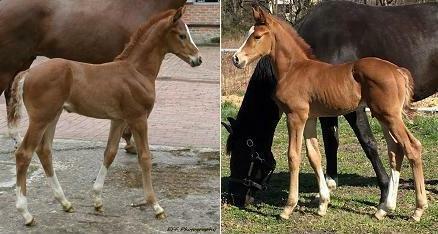 Clemens von Mervelt, Floriscount's owner, had this to say about Tuna: "what a super moving colt you have bred! 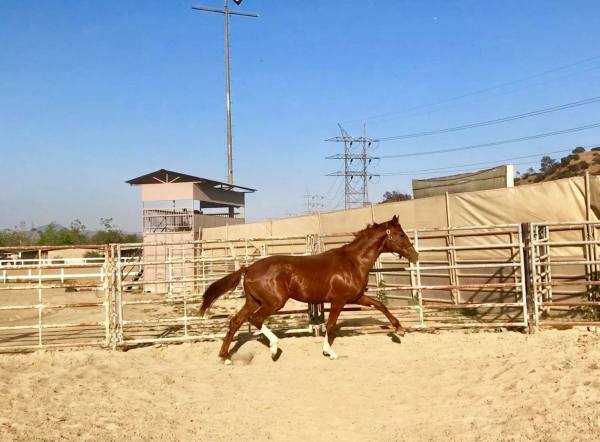 He seems to be a very typical long legged son of his father, his outfit is very beautiful, he seems very correct and his trot is amazing with power from the hind leg and a huge shoulder freedom and rhythm. Congratulation for such a colt!" Tuna at his GOV inspection, July 2016, handled by Sara Vanacek and Erin Powers. 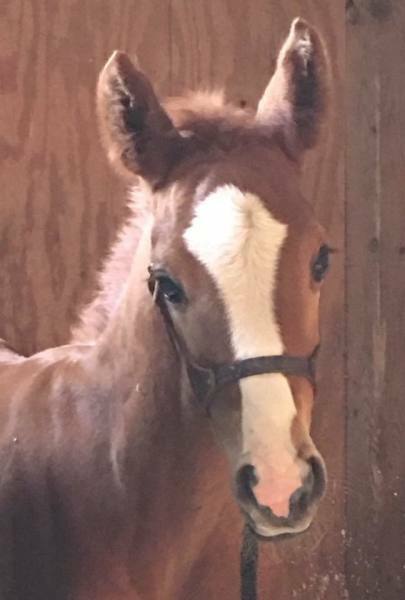 He was named Premium Foal and Foal of Distinction. of Tuna for his first birthday. As a breeder, it's hard to put into words what Tuna -- aka Fortunato H2O -- means to me. 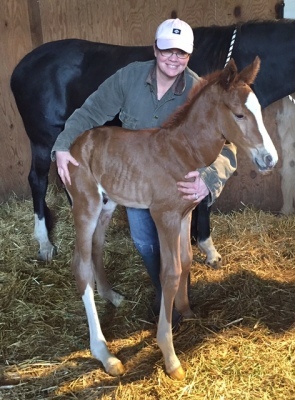 I'd been breeding warmbloods for fifteen years when Tuna was born and, like so many breeders, I've experienced the highs and lows breeding brings. After all of that work and study, many breeders never produce a stallion prospect and some give up breeding altogether. Sometime in 2014 I changed the focus of my breeding program. I decided to breed for professional dressage riders and the amateurs who can hold their own against them. That change led directly to producing foals like Tuna. I couldn't be prouder that, barring a complete change in personality, he'll remain a stallion, that he began his life in California at the farm of one of my idols, Hilda Gurney (who seems to adore him and also believes he's a very good stallion candidate), and that he'll be raised and trained by the wonderful, talented rising star Lehua Custer. 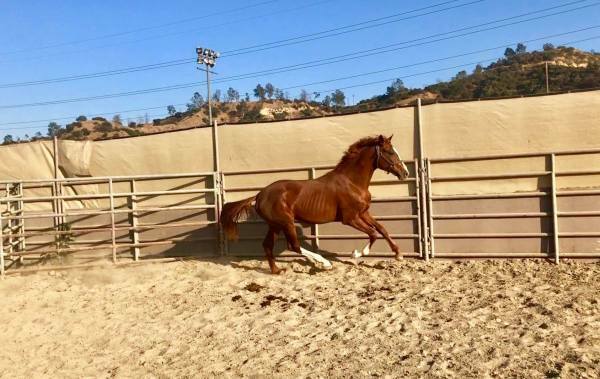 I know Tuna has already had a great deal of attention -- more than many perfectly good horses get in a lifetime -- but if you ever meet the horse (and I hope you do) you might find it all a little bit justified. 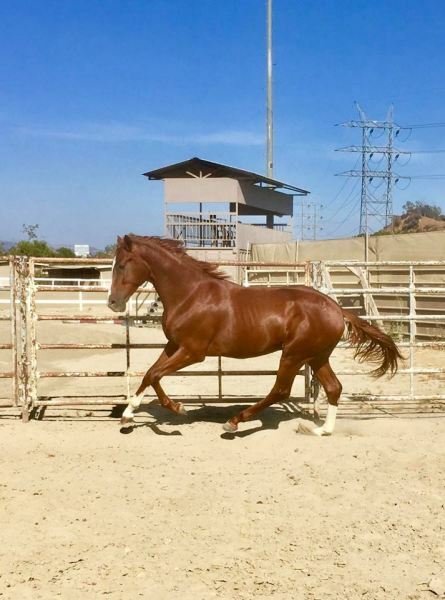 He's a very high quality horse -- if you don't mind my saying so. He has size, movement, a great temperament, and striking good looks, but there's also something special about him. He looks to people for direction, yet has a stallion's star quality. Lucky for all of us, he's found the best possible match in Lehua Custer. When Tuna's with Lehua, that spark of his becomes focused, channeled, capable of anything. I can't wait to see their partnership develop.